ThinTech, specialists in the Delivery and Support of Virtual Desktop and to date have delivered over 100,000 desktops for some of the largest blue chip companies in the UK. We are proud of our achievements and we know the benefits that virtual desktops brings to any size of company. The point here is not to brag, but emphasise how Desktop Virtualisation can transform any business and return a saving, but, only if it’s done right. 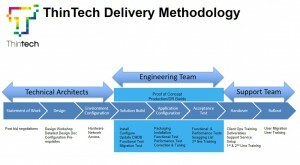 This guide is about giving you the building blocks in how tosuccessfully mplement solutions. You won’t get this information from any vendor, this is all ased on our experiences.Before we start, I have a simple mission statement, “I I’m o ensure every organisation is delighted with it’s virtual IT experience” Let me show you how we do it? 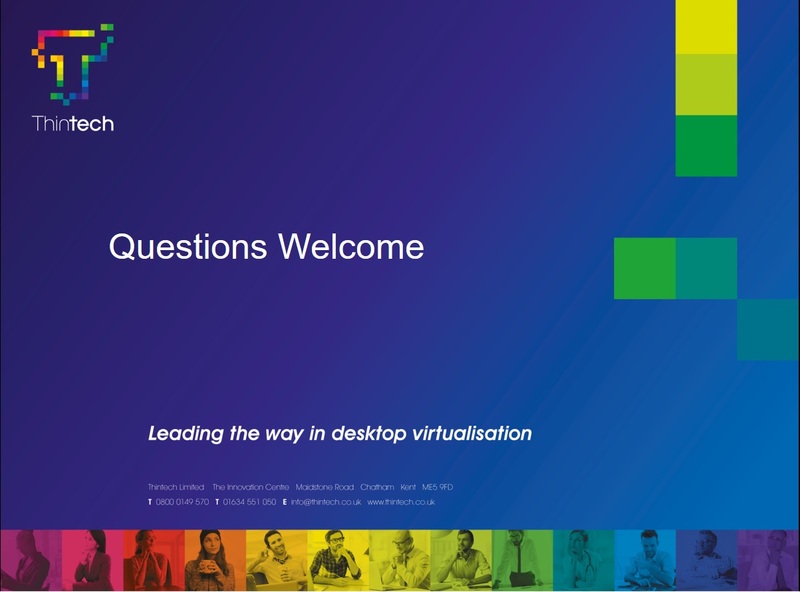 It is important to understand that each vendor have their own way to describe desktop virtualisation solutions, Citrix with their Flexcast Model which currently has five different models available. Then you have VMWare calling their products the same as Citrix (Workspace) and then you have Quest and you have Teradici and 2X. All with their own marketing spin. It’s too much! Poor Customer is overloaded with choice! The diagram below shows you all you need to know. 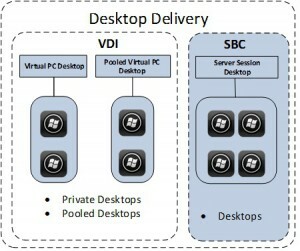 Virtual Desktop really only fits in to these four boxes, no matter what vendor you are considering. Ensuring user profiles work across all solutions. A Server Session Desktop is typically Windows Server 2008 R2 running Citrix XenApp where many users log on to the same box but their windows appears to be the same as Windows 7, after a bit of tweaking. Someone who has applications assigned to them and they cannot install their own software. A virtual PC is where you install the flavour of Windows on some form of Hypervisor and duplicate many time so that each user have their own full blown copy of Window to work from, this is called VDI. 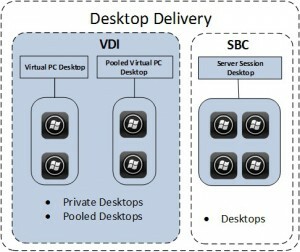 VDI can be deployed as a pooled desktop where each user gets the same desktop or as a Private Desktop where give each user their own private desktop to suit their needs. If we are honest with ourselves here, the majority of businesses I talk to say that pretty much most of their users would be quite happy with a Server Session Desktop providing it performs. 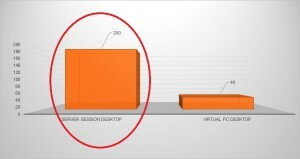 From experience we know that over 95% of users will sit quite happily in the Server Session Desktop and remaining 5% (usually IT Deptartments and really High end Cad\Cam Users) would use VDI. If the only mechanism to access your virtual desktop estate is via a fully FIPS compliant SSL relay like the Netscaler then can treat the rest of your LAN being untrusted. Users can turn up with virus\trojan ridden devices that won’t get past the Netscalers so you can essentially say bring what you like to work and work from that if they like. That is what BYOD is to me. User profile management should never underestimated, If your serious about doing this you need a copy of our own profile management solution. 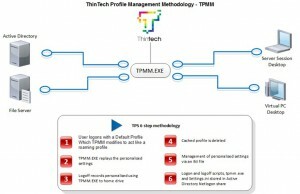 We don’t charge for it and we call it TPMM. It works across operating systems and best of all it’s free. Think of it a an advantage in engaging with a specialist firm. Contact me for more details. Guarantee your performance through design, Allocate 2vCPU’ 2GB RAM and 25 IOPS for each VDI Desktop and 16GB RAM, 4cCPU’s and 252 IOPS for each RDSH server which will run 35 sessions. Its starting to come together now, what does it mean? Using the above mentioned methodology we have successfully, on many occasions, managed to get over two hundred Desktop! running on one mid range server. This also means that we have significantly brought down the cost of using virtual desktops compared to a traditional PC replacement program, In fact it could be as low as 25% but typically comes in around 50% cheaper once you replace the PC’s with a cheap dumb terminal. 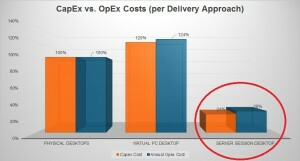 If we compare that to a pure VDI project which is typically more expensive than replacing PC’s both on a CAPEX and OPEX model you can see that Virtual Desktops does not have cost the earth. Doing this is not easy, it does take time to get it right and getting it wrong will cause a whole bunch of bad press to vendor you choose and your IT Department.